I was inspired to post this excerpt after seeing that Ksenia Anske had some on her blog. I didn’t want to put the first draft up for obvious reasons. I’m not entirely comfortable posting this one, either, but at least it’s been edited a little. Let me know what you think! Update: the next part is here. Two weeks after my birthday, my brother was murdered. The people came and took his body away in a black bag. When they zipped it up and hid his face, I felt like they erased him from existence. That was impossible. He was already gone. I stood on the front steps because I didn’t know what else to do. I didn’t feel like doing anything. One of the policemen told me they were looking into it. He had green eyes. I knew better. My brother had had brown eyes, so he would be forgotten. No one but me cared what happened to him. That was the way it had always been. I swallowed a laugh. In the movies, it rained when somebody died. If only I were living in a movie—directed by God and playing the role of the heartbroken sibling, alone in the world. Only I wasn’t playing. I had lost my parents and now I had lost Rory. A police officer laid a hand on my shoulder. His face was kind but his eyes were green. He didn’t care about me. I was seventeen years old. I had to live with someone for another year at least. Some kind of legal guardian. The officer was asking if I had other family. It sounded awful. I didn’t want to leave my house. Rory and I had built a life there together. Some of my best memories were created in that house. At the same time, it felt empty without him. So empty. And there was still blood and broken glass everywhere. It was hard for me to see. He kept his hand on my shoulder and steered me in the direction of his cruiser. I turned over my shoulder to look at the gurney being wheeled into the ambulance. I didn’t recognize it as a part of my brother. My brother wasn’t in that bag. He was somewhere else. The officer opened the door and held it for me. I slid into the seat. The leather was cool against my skin. “Did you want to get your belongings?” he asked. I hadn’t thought about it. Earlier when I’d tried to go into my bedroom, the police had told me not to touch anything. How was I supposed to pack my suitcase without touching things? I had no idea. I didn’t want anything. There was a hollow place inside of me getting bigger every second. I was numb. He nodded, closed the door, and climbed into the driver’s seat. I put on my seatbelt. Rory would have made me. He’d cracked down on seatbelts since our parents’ accident, which was understandable, so I tried not to let it bother me. I knew he meant well. No one could ever love me as much as he had. Not even our parents had loved me that much. We didn’t pass judgment—that was simply a fact. The policeman didn’t check to make sure I was wearing my seatbelt. In the rearview mirror, I saw he wasn’t wearing his. He hadn’t reached for it. He made no attempt to fasten it. That was also a fact, though there was some judgment. I knew what Rory would have to say about that man. When the officer revved the engine, the interior fell silent. He didn’t turn on the radio. Neither of us talked. The Innisbrook Motel wasn’t far from where I lived. We got there in less than ten minutes. I was relieved. I wanted to get away from the policeman as soon as possible. It wasn’t anything against him—I was worn out from answering questions and sharing my feelings with strangers. I wanted to be alone. I craved peace and quiet. The motel was cramped and a little disheveled. It wasn’t disgusting or run-down but had seen better days. It wasn’t the cheapest option in town, but it might have been the runner-up. I didn’t care. The sooner I got inside and locked the door the better. The police officer waited to leave after I was checked in. He asked me if I need anything. I needed everything and nothing all at the same time. After the interrogation I’d had earlier, I couldn’t imagine what questions there were left to ask. Did your brother have enemies? I didn’t know. I didn’t think so. He was a good man. Was there anything to be gained from his death? He didn’t have life insurance and we were pretty poor. Do you have any idea who might have killed him? If I did, I wouldn’t have been answering questions. I’d be tracking down the killer and getting revenge. He left me standing in front of the stairs. He got into the car and drove away without so much as a wave. I climbed the stairs to the second floor. My room was 210. The motel was pretty empty. Either people were out for the day or there weren’t many guests. I passed one room with the curtains drawn—light filtered out from a crack in the fabric. Every other room I passed was dark. Room 209 was also dark, but I heard voices. A man and a woman were talking. I stuck my card key into the lock. I could hear every word that the couple was saying. “It would be easier with colored contacts,” the man said. The light on the lock flashed red. I tried again. “Don’t say that here,” said the woman. The light flashed green. I froze with my hand on the handle of the door. They were talking about colored contacts. The only thing I knew about them was that they were illegal. They’d been outlawed under the Ocular Codes. Everyone knew that. Why bring them up? Curiosity got the best of me. I hovered outside. The man coughed. No one said anything for a minute. I thought they were finished with their conversation. I twisted the doorknob and went inside. Right before the door closed, I heard their door open. I froze again. Someone had left the room. I pressed my ear against the door and heard murmuring. I recognized the man’s voice. “No thanks,” the woman called. I pulled back from the door. I knew he couldn’t see me, but I felt safer anyway. I knew I wasn’t supposed to have heard that conversation. I couldn’t get the words out of my head. They were plotting something illegal. What could it be? Why did they need colored contacts? I heard their door open again. It must have been the woman. I leaned against the door again but this time leaned too hard. The door wasn’t closed all the way. I fell through the crack and against the woman. She wasn’t much taller than me, but she was strong enough to catch me before I fell. Somehow I still hit my head on the railing. That’s the last thing I remembered. I came to in my hotel room. At least, it looked like my hotel room. After a minute I noticed the smell—stale cigarette smoke. I sat up and propped myself against the pillows. The woman from earlier sat in a chair at the end of the bed, smoking a cigarette and staring at me. Her dark hair fell over part of her face. The room wasn’t well-lit, but I knew she was beautiful. It emanated from her like an aura. I felt it. “How long have I been out?” I asked. She looked at me as though expecting an answer. I wanted to give her one more than I’d wanted anything in my entire life. I was taken aback. Why was I so captivated by her? What was the allure? Even though I barely knew her, I could tell she was sincere. 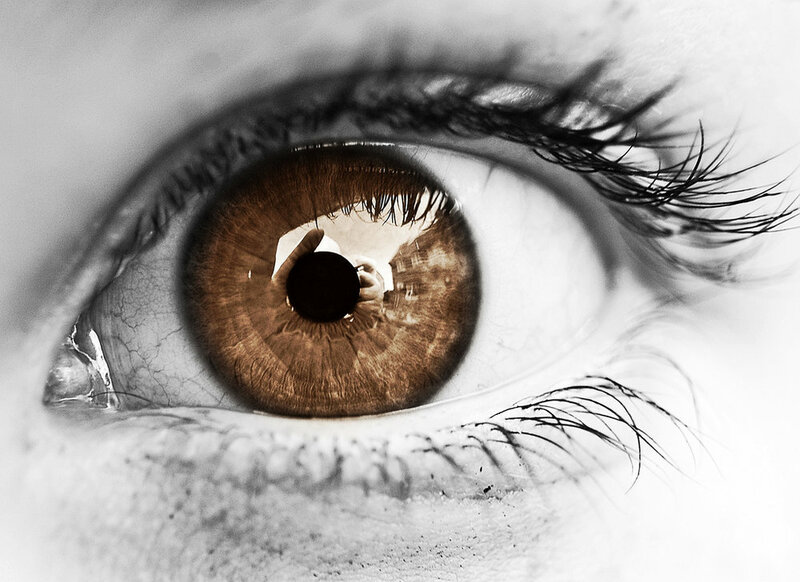 Her eyes radiated warmth and sympathy—and they were brown like mine, which was a huge bonus. No matter how pretty she was, we were on equal ground in society. “He was murdered last night.” The words fell out of my mouth before I could stop them. I was sure that was more than she’d wanted to hear. When I saw her eyes widen, I wished I could take it back. She didn’t need to know my tragic back story. I didn’t push her for details. The idea that I’d still be living with grief years down the road terrified me. The ache was intense. I thought I’d never feel the way I felt when Rory and I lost our parents. Losing my brother was so much worse. I couldn’t remember what it felt like not to grieve. It hadn’t even been a full day since I’d lost him. I couldn’t imagine how this woman felt. “Where’s the man who was with you?” I asked. I hated myself for speaking. The only way I knew that she was traveling with a man was because I’d eavesdropped on their conversation. I wondered if I should try to backpedal. I wasn’t sure if she’d heard me correctly and was just giving me a second chance or if she honestly hadn’t heard me. I didn’t want to repeat myself. I wanted to crawl under a rock. “What man are you talking about?” she asked again. I tried to come up with something that sounded halfway coherent. Then he came out of the bathroom wearing only a towel. Excellent start to the story, and left me wanting to read more. Can’t wait to read the rest! Thanks so much! I’ll keep you updated. Replace leather with vinyl. Police cruisers don’t have leather in them. Also, pretty empty should be nearly empty, She’s in shock still. Pretty isn’t the word she would use just now. Where is the rest? Readers want to know! Will do! Thank you. I’m working on finishing it ASAP! I’ll let you know when it’s up somewhere.